It is the tenth of December. 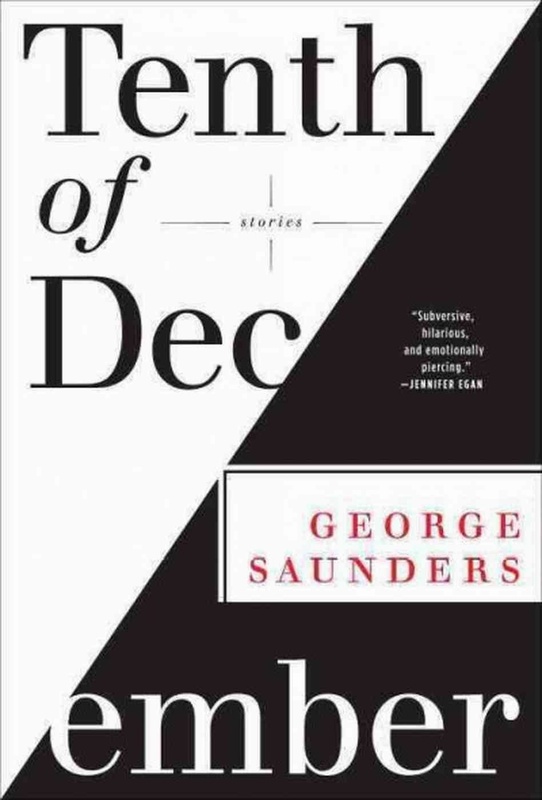 So we thought it would be a good time to review the book, Tenth of December, by George Saunders. It is a collection of short stories written by the MacArthur Foundation "genius" Fellow, who is a professor of creative writing at Syracuse University. Back in January, a book reviewer on an NPR program declared Tenth of December as "the best book you will read this year." That's a pretty bold claim for so early in the year. Yet, because of my crippling FOMO (Fear Of Missing Out), I immediately rushed out and bought a copy. On Amazon. No one goes to Barnes&Nobles unless they are trying to kill time or just want to browse magazines without buying them. After all, YOLO. It is a good thing that this book was not released two years ago, because that is the year that I read the Hunger Games trilogy (well, 2011-2012). And the year is not yet over, so I might just read Divergent or some other YA dystopian thriller. Hyperbolic claims aside, it really is a great amalgam of short stories. Saunders shows his gift for creating engaging narratives with complex characters and resolving conflicts within a limited framework of a couple-few dozen pages. Not all stories need to be novels. Short stories are an art form unto themselves. And Saunders proves this with each tale. With a full range of emotion, Saunders explores the human condition with a biting--if not withdrawn--humor and bleakness. The beautifully written stories are the kind that will coat the walls of your mind and drip into your daily thoughts still days after reading. Even months later, now, from having originally read the stories, they exist as echoes in my mind like some familiar memory. Aren't they a common experience that all minds have shared? I wish it were so. Best book you will read all year? Maybe. Best book published this year? Who knows. Who's to say? It's all so subjective. If you check out NPR's Best Books of 2013, yeah it's on there, but there are like 200 books on there. Probably every one they reviewed this year. I don't think Dan Brown made the list if that means anything to you. Erudite fart-sniffers? Perhaps. Those are the people with the best bookshelves, though.